Another favorite among bass fisherman . 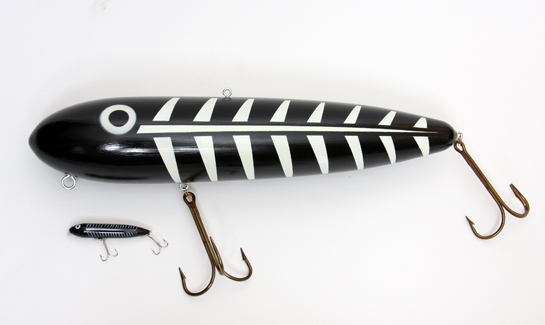 This lure sculpture is loosely based on the old Heddon Black Shore Minnow . A good lure for late evening and night fishing .